, last week for my birthday. I had already planned to make this salad, but the arrival of the book sealed the deal. It was fate. It was kismet. It was delicious. 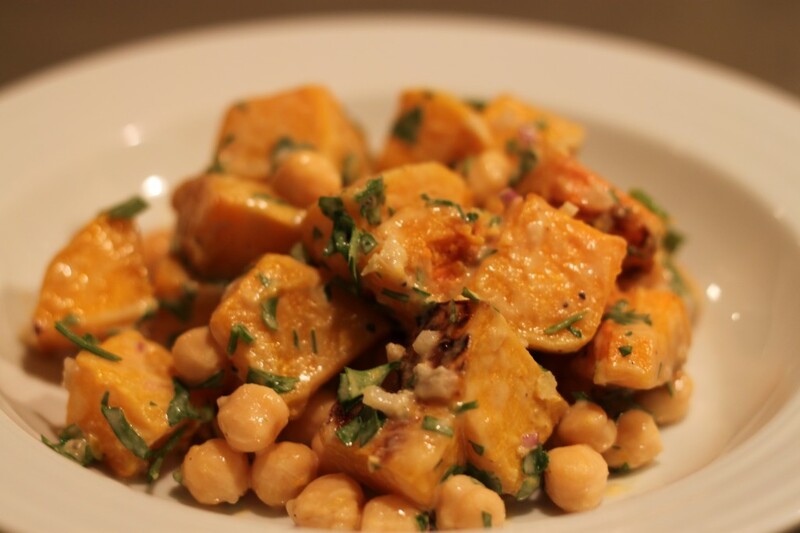 To assemble the salad, combine the squash, chickpeas, onion, and parsley in a mixing bowl. Add tahini sauce about 1/2 cup of dressing, and toss carefully. Serve, with the extra tahini dressing on the side and additional salt for sprinkling. This tastes great with a crusty piece of bread. Note: This salad, lightly dressed, keeps beautifully in the fridge. Before serving, warm slightly with quick jolt in the microwave and serve with any extra tahini dressing.